While van conversions occupy a large corner of the interwebs, one of them just might rise to the top. 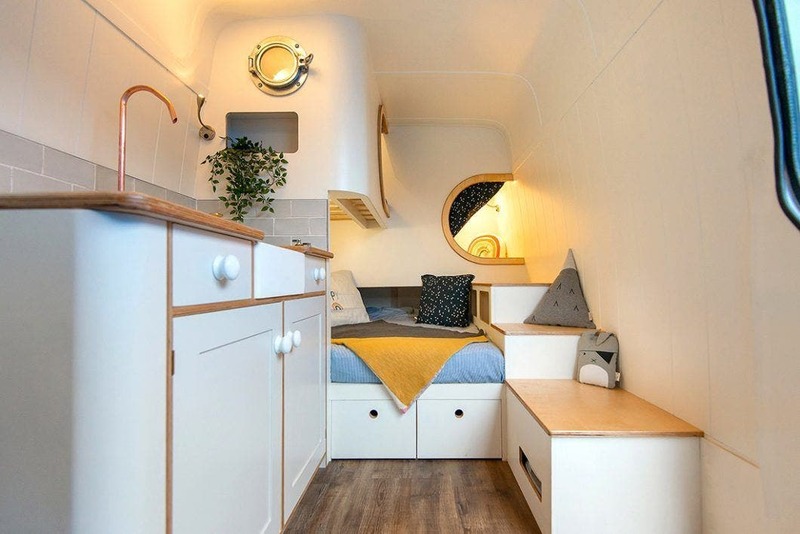 The Jubel Explorer, by van conversion company This Moving House, looks like a blend of Jules Verne and minimalism with extra smart techniques that accommodate a few important family members. The Jubel Explorer has two built-in pods that can fit small children. Storage is built into the bunk stairs and under the main bed. 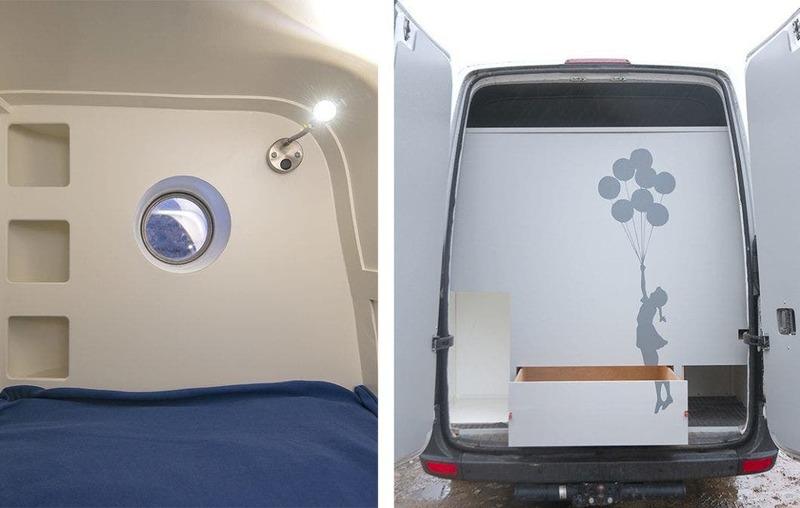 Many van conversions are built for the single traveler, but this innovative design features pod-like bunk beds that can fit small children. And what child wouldn’t love to sleep in these cozy little holes? 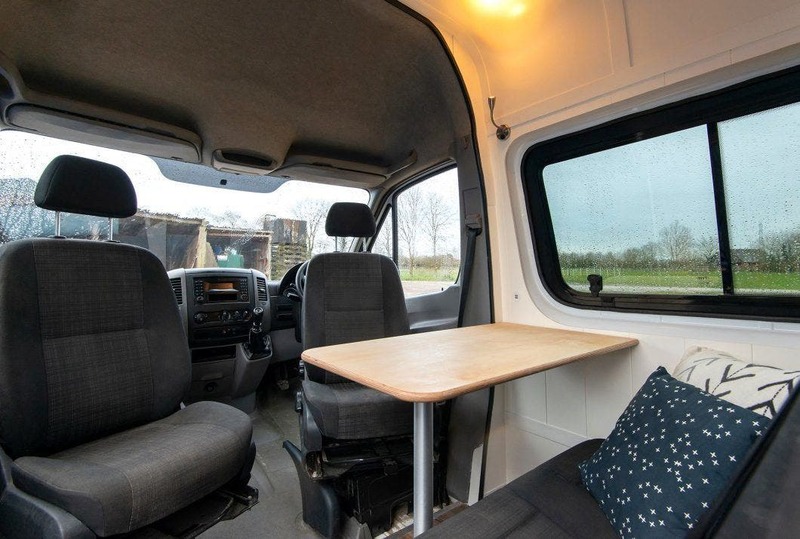 The rear bed for adults has the same snug feel with an overhang filled with lights. The end of the main bed has storage that doubles as the steps the larger child’s bed. 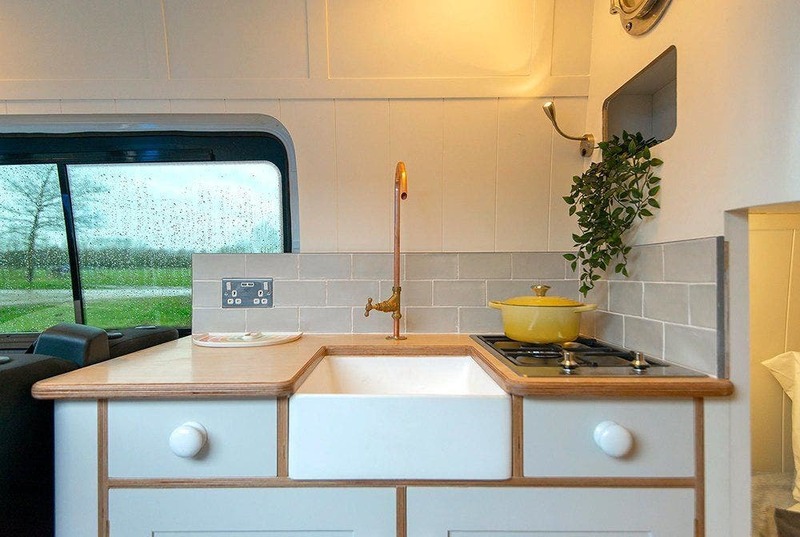 The kitchen includes a full sink and two-burner stove. 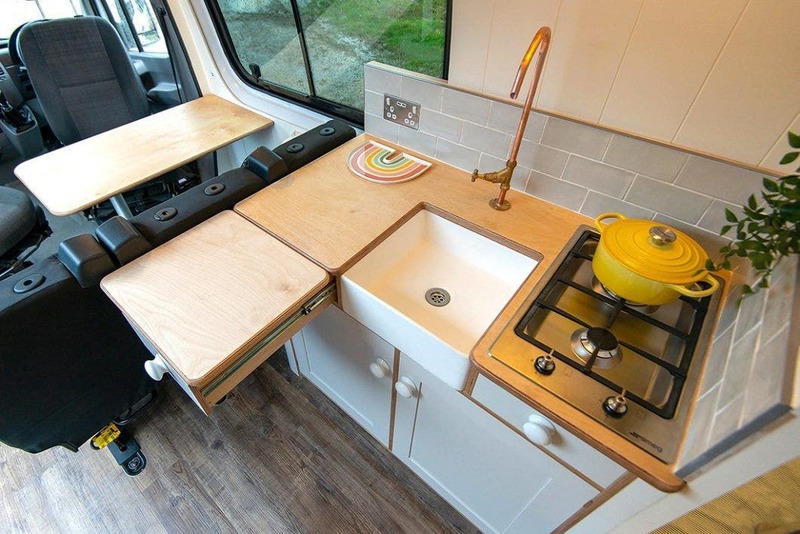 The kitchen features an extendable counter and full sink. The Jubel Explorer was built on a Mercedes Benz Sprinter 316 long wheel base. The original driver and passenger seat swivel back to face the 2+1 rear seats. These seats are removable and have Isofix mount points. These mounts are the international standard for attachment points for child safety seats. The van is heated with a Eberspächer D2 diesel heater. There is also an 80 liter water tank and 110 and 12 volt electric connections. The very rear of the van includes a large storage area with a darling print of a girl and her balloons. The driver and passenger seat swivel around to act as a dining area. 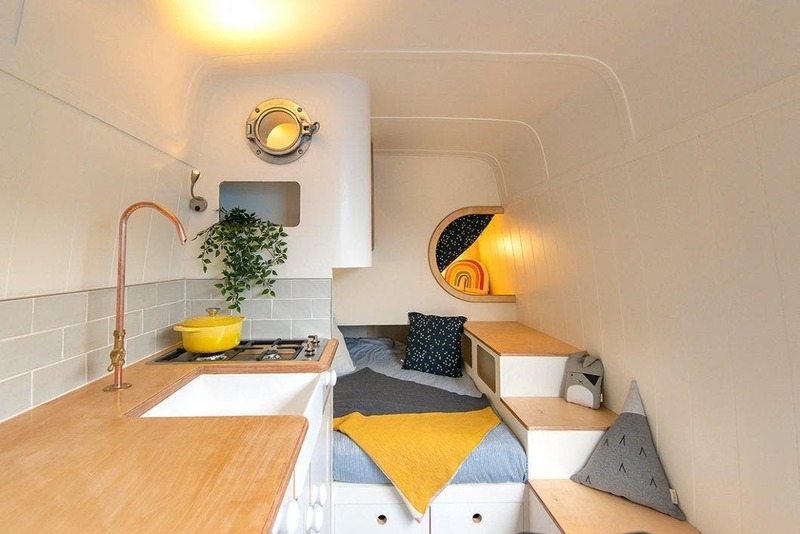 Details such as porthole windows and murals add charm to this van. 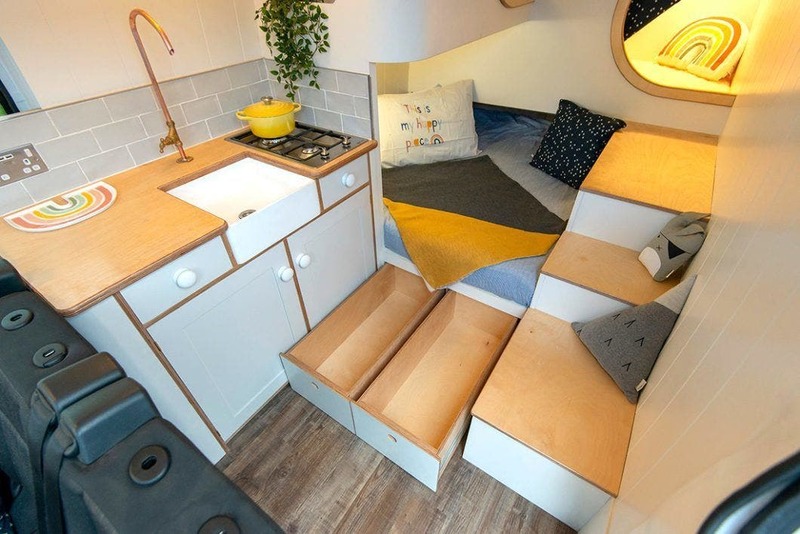 This Moving House is a UK-based van conversion company. 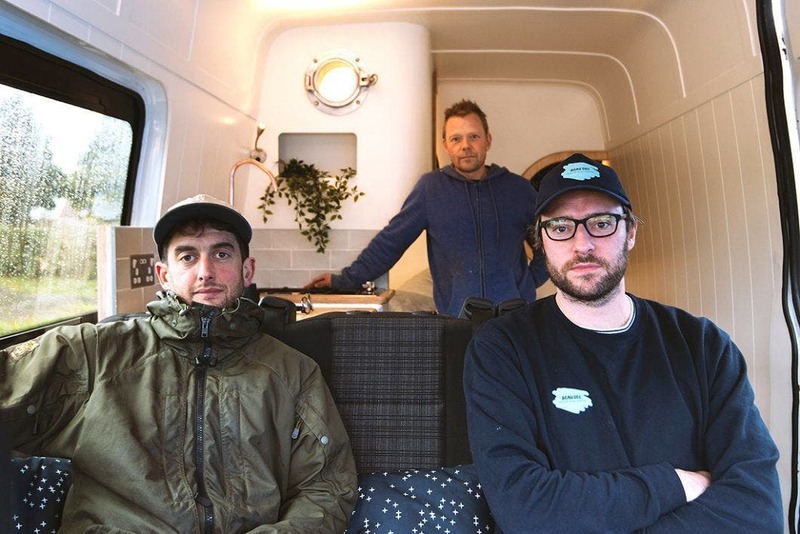 This is not the first van by UK-based This Moving House. 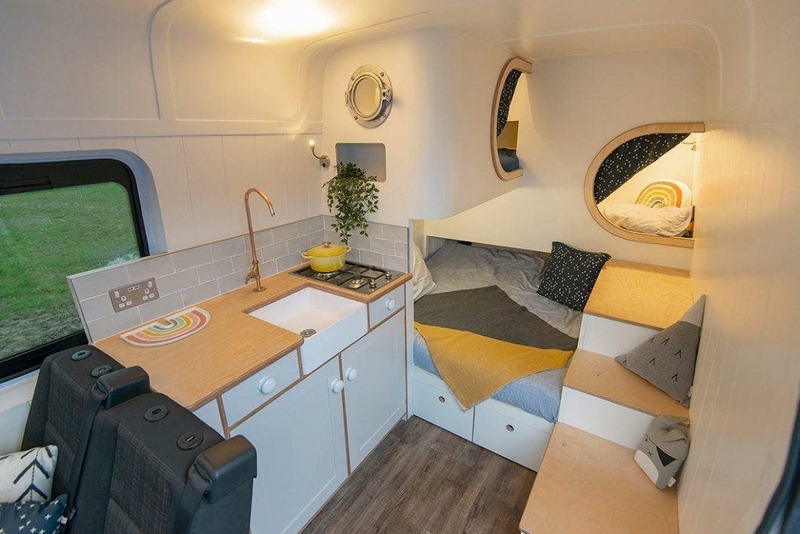 Their other designs, including The Kraken Van and Culinatour Van all use this nautical style with smart storage and sleeping options for mobile adventurers. Our Tiny Home on Wheels, Clifford the Van. Ah, a company that actually wants to turn a profit. When does the chorus of people whining about the price begin?